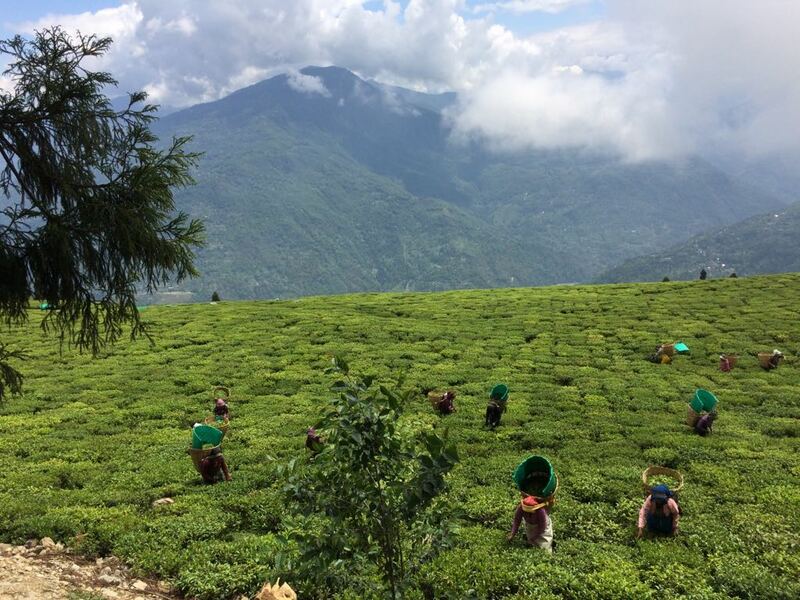 Sikkim is the first state in the world that is 100% organic: All of its farmland is certified organic. The policy implemented a phase-out of chemical fertilizers and pesticides, and achieved a total ban on sale and use of chemical pesticides in the state. The transition has benefitted more than 66,000 farming families. At the same time, Sikkim’s approach reaches beyond organic production and has proved truly transformational for the state and its citizens. Embedded in its design are socioeconomic aspects such as consumption and market expansion, cultural aspects as well as health, education, rural development and sustainable tourism. Sikkim's tourism sector, for instance, benefited greatly from the new organic image: between 2014 and 2017, the number of tourists increased by over 50 per cent. For their achievements, Sikkim’s policies were awarded the Future Policy Gold Award 2018, awarded by the World Future Council in partnership with the FAO and IFOAM – Organics International. Sikkim is a small Himalayan state located in Northeast India, covering a total geographical area of about 709,600 ha with around 610,577 local inhabitants (2011 Census). The state is listed as one of the world’s global biodiversity hotspots and its fragile, mountainous ecosystem requires sustainable farming practices to preserve its natural capital. Only about 10 per cent is farmed, whilst the rest is made up of forests, uncultivable land, cold desert and alpine region. The topography of the region is not suited for intensive industrial farming and the use of chemicals has always been relatively low, compared to other Indian states. Hence, Sikkim was a state where the impact of the Green Revolution was marginal. Political commitment to organic agriculture in Sikkim started in 2003. That year, the Chief Minister of Sikkim, H.E. 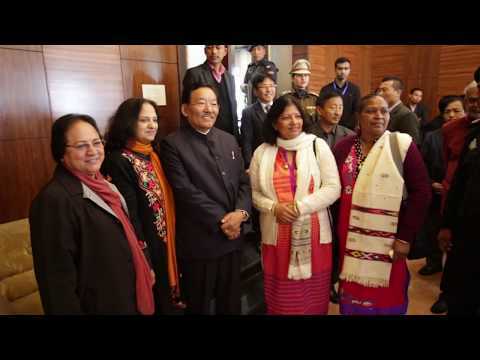 Pawan Chamling, announced his vision for Sikkim to be India’s first organic state, accompanied by the creation of an action plan. The main beneficiaries are the more than 66,000 Sikkimese farming families, managing more than 76,000 ha of land. Through the provision of healthy organic food, the policy benefits the general population. Tourists now enjoying Sikkim also benefited. A bold vision for an organic state and a clear roadmap (BB1) along with Piloting organic farming and launching the Sikkim Organic Mission (BB2) were key. As a second step, the goverment linked the conversion strategy with the gradual phase-out of synthetic inputs (BB3). Together, they build the Potential for a Transferable Model (BB4). Sikkim’s experience has been largely positive. In the first place, the state government showed strong political will and policy consistency, along with well-defined targets and implementation plans. The state government’s strategy to phase out chemical fertilizers was implemented gradually, but firmly, backed up by substantial measures to build real sustainable alternatives. Farmers and citizens are proud of this policy and keep giving it political support. Today, more than 66,000 farming families, managing more than 76,000 ha of land, benefited from the transition. These farming communities have gained a good level of understanding of organic farming practices. To improve soil health management, the government has provided support to farmers to run a total of 40,000 soil tests per year. Furthermore, the three livelihood schools for organic farming have educated 836 unemployed people, 695 of whom are now employed as field supervisors. At the same time, Sikkim’s approach reaches beyond organic production and has proved truly transformational for the state and its citizens. Embedded in its design are socioeconomic aspects such as consumption and market expansion, cultural aspects as well as health, education, rural development and sustainable tourism. Thanks to Sikkim's organic image, between 2014 and 2017 the number of tourists increased by over 50 per cent. I am living with my family in the village of Bul, which is situated high up in the mountains in Sikkim, India. My family’s name is Mala Sherpa. We are in my village a total 285 families that grow fruits, vegetables and flowers. When visitors come to Bul, we love to prepare a big party for them. We welcome them with orange yellow wreaths of marigold and colourful silk shawls, lots of music, songs and dance, and of course good and healthy food. We love to offer dishes with potatoes, vegetables and grilled chicken or yak meat, alongside Chang, a sort of light wine which is very popular drink in Sikkim. My family owns an organic demonstration farm. On our farm live three generations, which is rather typical for Sikkim. Besides my aged grandparents and my husband, also the young generation pitches in. We do not really have a problem with missing family succession, which seems to be a big issue in many other states of India. Because thanks to positive future perspectives for farms in Sikkim and we parents being successful and proud farmers, our youth remains in the countryside and plans on becoming farmers as well. On our farm we have cows and goats. Our terrace fields are narrow. To plow our fields with the small cow plough we own, my husband has to be highly concentrated. We are very proud how surefooted our cows are, they turn on the spot. We have also compost heaps and barrels with plant-based preparations – all are well-labelled, because we are a demonstration farm and act as a learning centre for all farmers in Bul. On our fields we grow potatoes, kale, carrots, leek, garlic, ginger and flowers. However, we earn most with large cardamom, for which Sikkim is the world’s most important producer. I personally are much in love with our flower plots, which also contribute significantly to our income. The change towards organic agriculture was highly important for us – it meant for my family a good income and a secure future. In my view Sikkim’s organic policies should be generalized and spread to India and the whole world. This solution is published in the Agriculture and biodiversity portal.